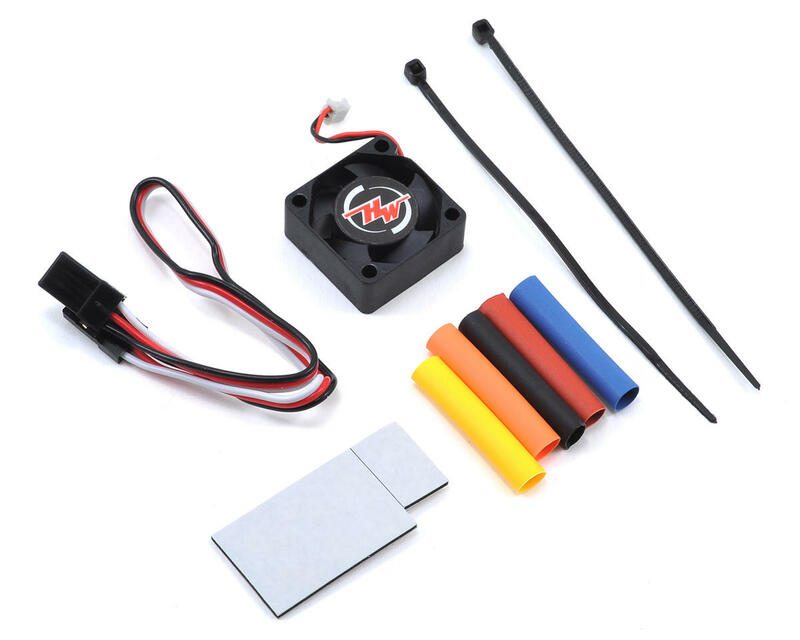 The Hobbywing XR10 Pro Sensored Brushless ESC/V10 Motor Combo was developed for competition. The XR10 Pro ESC features reliable hardware, combined with intelligent software (containing 10 common select-to-use profiles), and is ideal for 1/10th scale on road and off road applications. 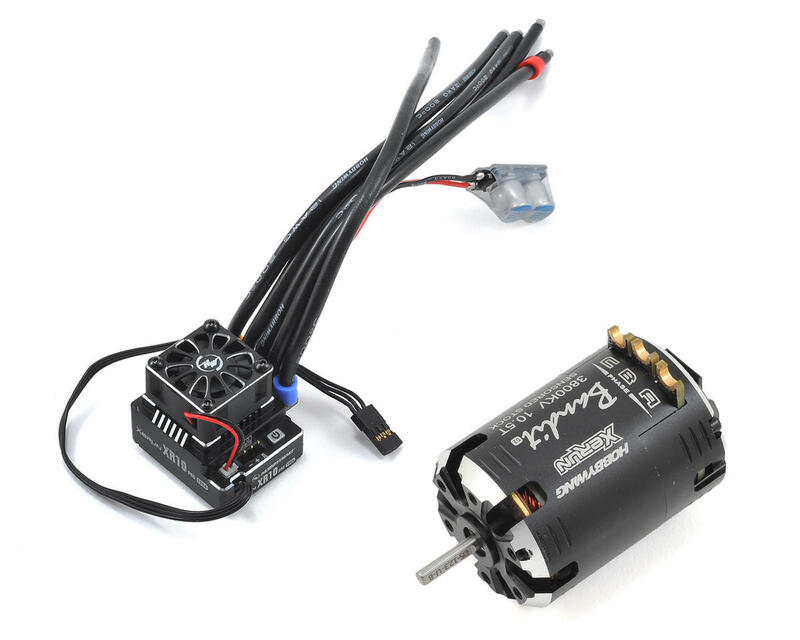 The Hobbywing Xerun Bandit G2 Motor series is engineered for maximum power. General racing rules go by the wayside as Hobbywing engineers design this motor series for the best torque, making it ideal for tracks that use their own rules. 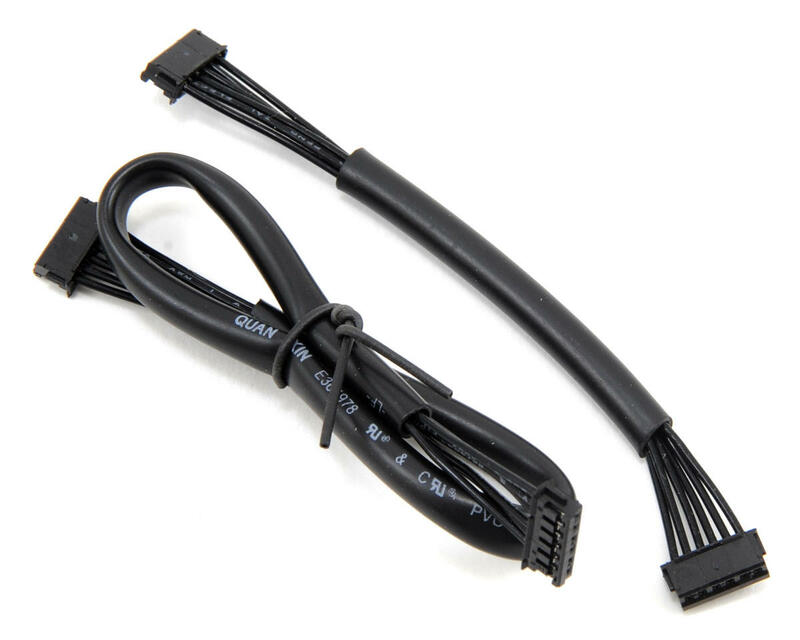 10 select-to-use profiles including zero-timing/blinky mode, modified mode, stock mode applicable to all 1/10th touring car, pan car and buggy racing. Built-in switch mode BEC with a maximum output of 4A and voltage adjustable between 6V and 7.4V for usage with high voltage servos. Separate PRG/FAN port is able to power an external fan for maximize cooling performance or connect a LCD program box or WiFi module to the ESC. 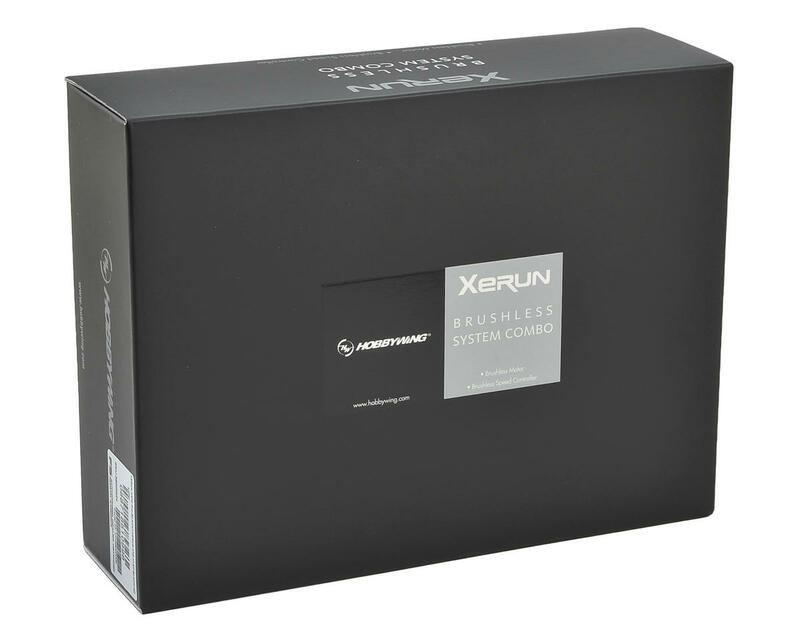 With the optional WIFI express module from Hobbywing (HWA30503000 - not included) users are able to program parameters, upgrade firmware and check relevant data during the event using either the Iphone or Andriod devices. Brake and throttle adjustment: 100 levels of brag brake, 50 levels of initial brake force, 9 levels of maximum brake force, 20 levels of brake rate, and 30 levels of throttle rate. Adjustable brake mode, PWM and brake frequencies and for different competitions and control feel. Adjustable Turbo Timing & Boost Timing for different applications. 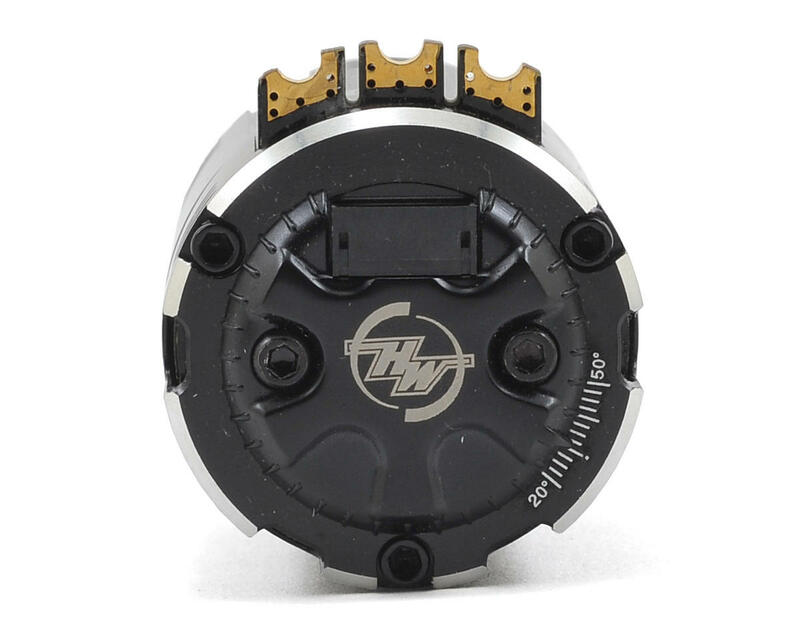 Multiple protections: low-voltage cutoff protection, ESC and motor thermal protection, and fail safe (throttle signal loss protection). Data logging for recording the maximum ESC/motor temperature, motor speed/RPM, and others in real time. Firmware upgrade via Hobbywing multifunction LCD program box or WiFi Express (item sold separately). Extreme powerful (the output power of BANDIT G2 motor is 20% higher than the standard V10 motors), specially designed for out-law STOCK races. Designed to withstand extreme levels of use at its highest peak performance. Complete new CNC cut motor case with extra front spoke ventilation slots. Works as a sensored unit and also sensorless without the sensor cable attached. Multiple steps of mechanical timing adjustable from 20 degree to 50 degree. Minimal maintenance is required with precise machining technology which ensures a minimum tolerance end play of the rotor shaft. Eliminating the copper shims used in most of today’s motors. 200°C high temperature tolerance and high purity copper windings maximize conductivity and reliability. 200°C high temperature tolerance sintered NdFeb magnets. Extreme low resistance multi-layered outlet PCB and high RPM NSK bearings. Note: BANDIT G2 motor is compliant with IFMAR rules but not ROAR rules.